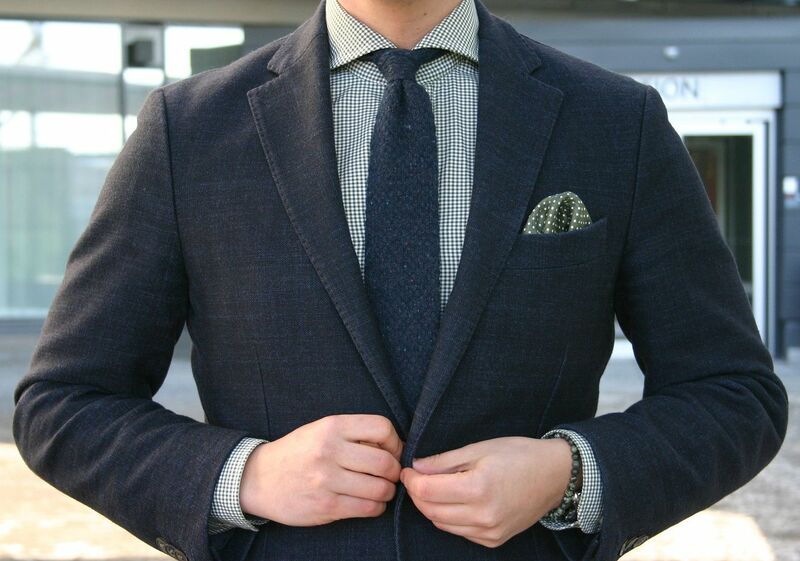 Looks like I'll be posting two outfits in a row with the same tie, but other than that this one is with quite a bit different pieces. The jacket is a wool cotton blend jacket from SuitSupply in the Copenhagen fit, shirt also from SuitSupply, tie from Berg & Berg, belt from Equus Leather, trousers from Incotex Red, olive green socks from Berg & Berg and double monk shoes from Meermin. 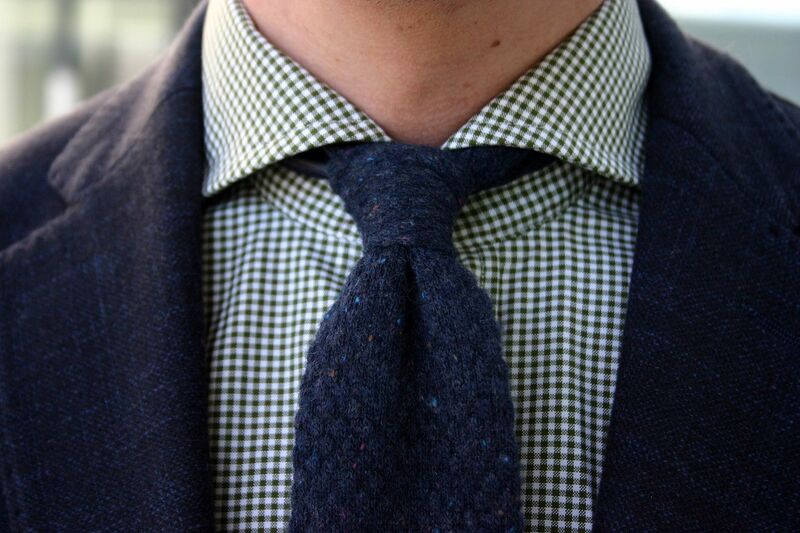 This olive check shirt is a new acquisition from SuitSupply. It's a shirt from their FW12/13 collection that had an updated price of 59e, and having had my eyes on it for a longer time I decided to finally buy it. 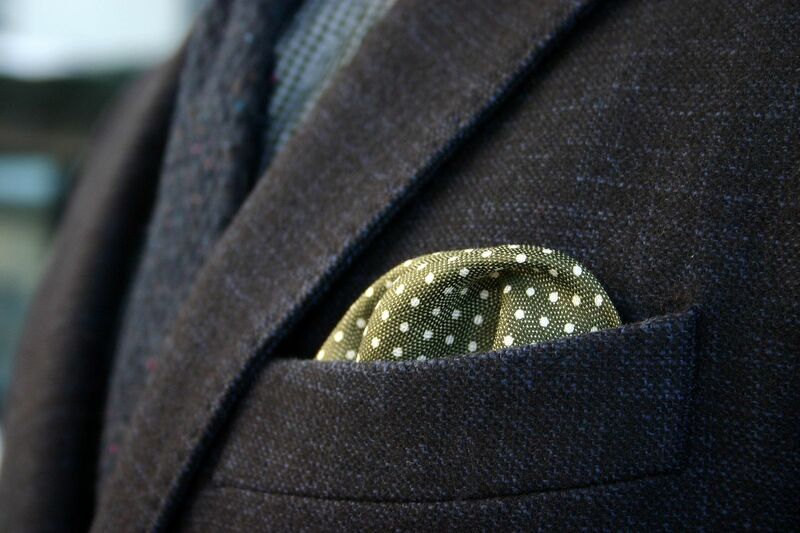 And a final touch to compliment the subtle greens: an olive green polka dot pocket square. 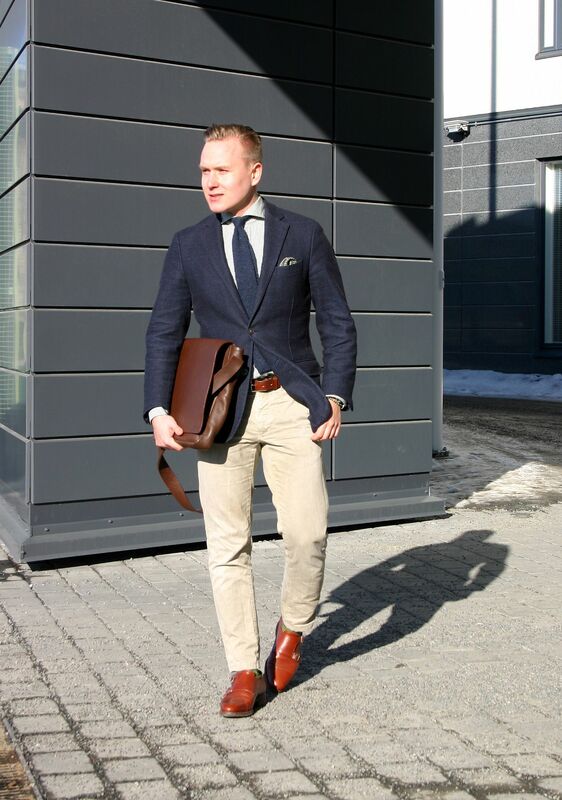 Now, enjoy your Easter everyone, I'm off to Stockholm.